no matter how huge they are. you are really going to achieve them." "Hold on to your dreams. not being able or not capable." about whatever you want to do. Things that people think are so weird. this is what the world needs right now." 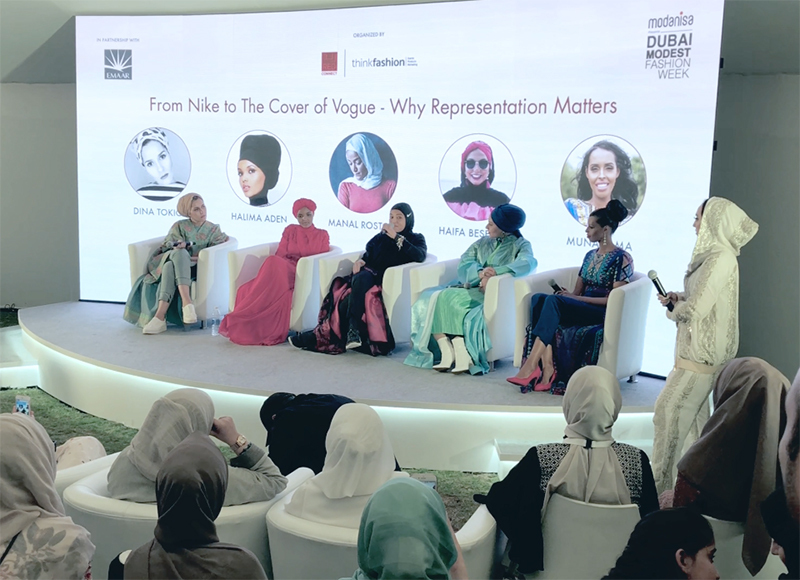 The 4 quotes by Manal above are from her talk titled "From Nike to the Cover of Vogue : Why Representation Matters" with Halima Aden, Dina Tokio (Dina Torkia), Haifa Beseisso and Muna Jama which I attended at Dubai Modest Fashion Week on 8th December 2017. They have shared amazing opinions that really opened up my eyes to a different culture and a different perspective on different matters. Will share about the other inspiring ladies too but this post is dedicated to the inspiring Manal A Rostom aka @manirostom and what I have learned from her story. I have listened to what I have recorded when I attended the talk and have written down some of my favourite quotes from Manal. I hope by me putting it down here on my blog, it will continue to inspire me and others as well as remind my future self anytime I need to hear these reminders about continuing to combat worldly fears and just chase our dreams. Also, if we don't ask, we will never know. Here's a 2 minute summary video of my favourite moments captured during the talk and of me meeting Manal. The full 10 minutes video I recorded of the snippets of the talk by her at DMFW is at the bottom of this post. For those of you who don't already know, Manal A Rostom is a mountain climber, marathon runner, fitness trainer and a pharmacist by profession. She is the first Muslim Hijabi woman to be featured in an international Nike campaign and became a model, the face of Nike Pro Hijab and a coach for Nike. I didn't know her story before I went to the talk. She was struggling with the hijab and was going to take it off because the struggle was real as an athlete who climb mountains and run the marathons. Even for us who are not athletes or not even sporty like me we sometimes feel the struggle of wearing the hijab especially when we have just started wearing it. I shared about my own story few years ago. And listening to her story, I was reminded of how when I just started covering up and wearing the scarf, when I started going to the gym around 3 times a week after work when I just started my career as a lawyer I usually take off my scarf at the gym. I also did the same when I went to the beach. It became quite confusing at the time. Later on, I didn't go to the gym anymore and not having hijab friendly clothes and wearing the scarf became one of my reasons and excuse of not going to the gym anymore. Though it might just be me being lazy and naturally not sporty enough haha! I only started to wear the scarf to the beach and when I do sporty stuffs (rare) after 2012 that was the year I went for my first umrah trip. I did Occasional kickboxing, yoga and frequent the gym which I have discontinued my membership after my second pregnancy in 2015. Since last year I have just started swimming more habitually as an exercise and to manage and relief my stresses and I am glad that there are a number of brands who have came up with stylish and fashionable modest swimwear recently. Anyways, back to Manal. 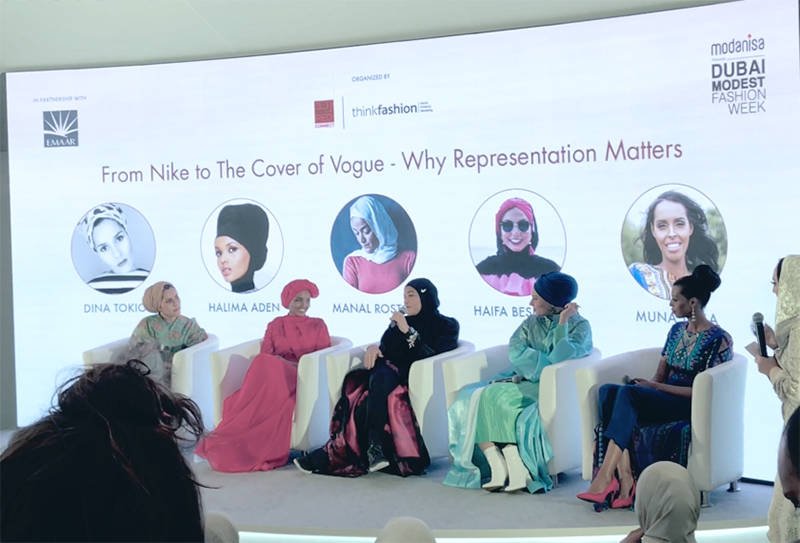 One day she wrote to Nike about the non-existence of representation of hijabi women in the sportswear industry and to cut the story short, in January 2015 she became the first ever hijabi athlete to appear in the Nike campaign. In the beginning there were a lot of comments like "how tight the pants were" and listening to this I was reminded of how I got so many comments about this few years ago here on the blog about the same thing when I was transitioning from someone who did not fully cover up to someone wearing the scarf. I guess it is okay if it is said nicely and in a good tone to suggest improvement but I received really rude, bad words and uncalled for comments even some bashing my husband for not properly teaching me how to wear my clothes and what not. To this kind of negative comments Manal responded, "You don't know anything about my story, you don't know what I do, you don't know who I am as a human being." And I couldn't agree more. We all have our own personal journeys, we all have a different story and we all are trying to change to become better, hopefully. Now talking about the backlash after Nike came up with the hijab. People said things like "it's something that has been around for ages, so why is it a big deal that now Nike has done it?" they support athletic hijabi women. this spoke diversity, inclusiveness and equality." "Your life is your life. Your dreams are your dreams. your thoughts and dreams in a small box. chasing your dreams like there is no tomorrow. your legs follow and then the world." You got to use it. You got to speak up. go to work and come back and that's it. How are you touching lives? How are you changing lives? Most importantly, you are not a dead fish." "Every idea is a great idea. that will inspire nations and generations to come." The 4 quotes by Manal above are from her talk at TedxTalks @ Tedx Youth@Ebis, Surviving Hijab which was just published last month on 11th January 2018. You can watch the video at the bottom of this post. She ended the talk with the quote below. This post is a continuation of my post Inspiring Women : Leena Asad, Melanie Elturk, Sebina Hussain and Sara Mouslli. Click this title link to read. Here are two articles about Manal that I enjoy reading too. 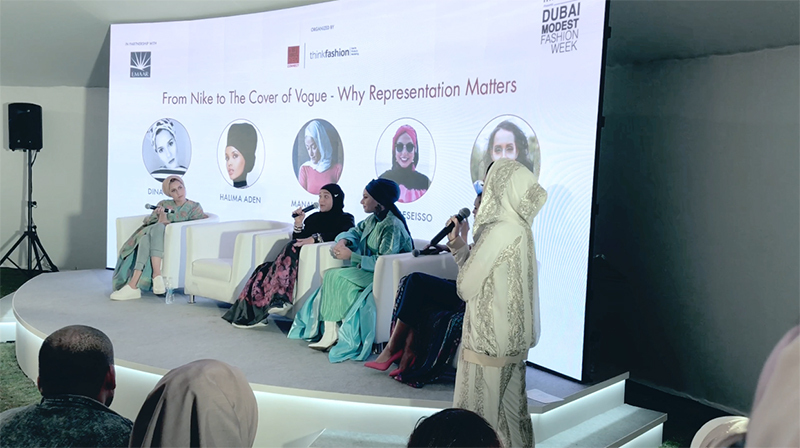 And finally, the 10 minutes video I recorded when I attended the talk at Dubai Modest Fashion Week below.